The Kansas Correctional Association was formed in 1973 to support and promote the acceptance of corrections as a profession by enlisting the support of correctional professionals in all correctional endeavors in a statewide association. Increasing public understanding of the social and economic gains to the individual and to communities through providing opportunities for all public offenders to become self sufficient, self supporting, and contributing members of society. Providing opportunities for conferences and forums for the discussion of all the problems relating to total correction of the offender. Encouraging an interdisciplinary approach to the problems of corrections through the maximum use of knowledge and skills of all professions. Stimulating professional training opportunities for all personnel engaged in corrections. Develop and implement both short term and long term strategic plans to be reviewed annually by the association. All individuals residing within the geographical boundaries of the State of Kansas are eligible to become members of this association. Full membership is open to professional persons employed in any correctional agency or institution in the State of Kansas. Associate membership is open to all other interested persons. 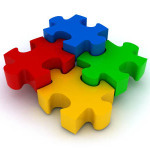 Affiliated membership is available to other interested groups and associations. The KCA Executive Board has reviewed and amended the existing KCA IMPP Manual. The updated KCA IMPP Manual is available for review and comment by KCA Members from February 9th until March 10, 2011. At the end of this 30 day review period, the by-laws will be adopted and become the policies and procedures for the organization effective March 11, 2011. If you have comments or questions regarding the KCA IMPP Manual, please contact Geri Reece, President. Contact information may be found on the Executive Board link. 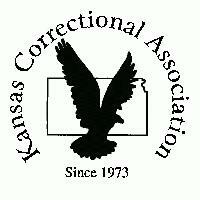 The Kansas Correctional Association is the state affiliate of the American Correctional Association.